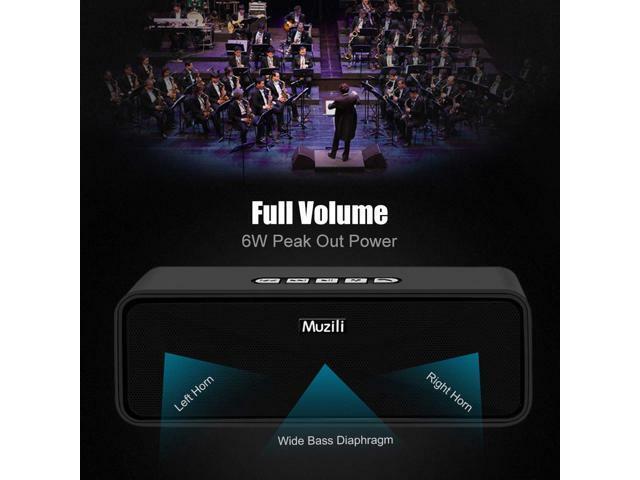 Muzili Bluetooth Speaker —Bring you brilliant music feast ! Painted metal net and Polymer Materials. High temperature resistance,scratch proof, corrosion resistance. casting perfectly, extraordinary texture, high-end fashion. 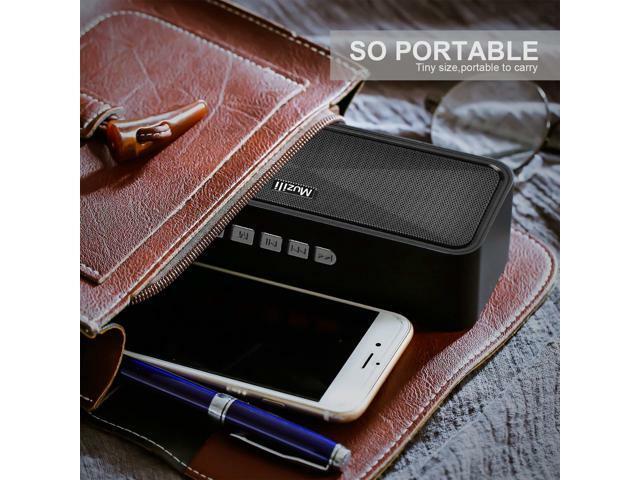 original supply 18650, 1200mah battery, with double protection (overcharge protection and discharge protection) to ensure the product power supply time, meanwhile the product battery is equipped with double leakage protection to ensure the product battery recycling life,standby time and safe use. 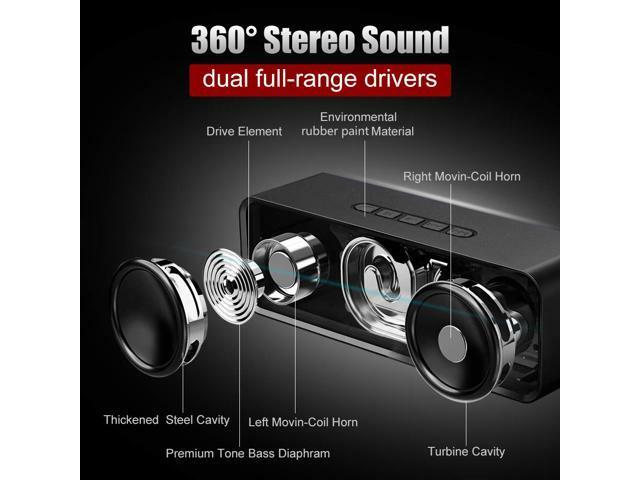 The original supply of a new product 40mm 4O 3W PU thick side of the magnets, tested by the speaker bass strong treble shock, durable sound quality as before, to ensure product quality while ensuring sound quality effect. Use the new terminal port straightly way to avoid artificial Weld fault. The assembly of product uses an advanced sealing method to ensure sound quality. 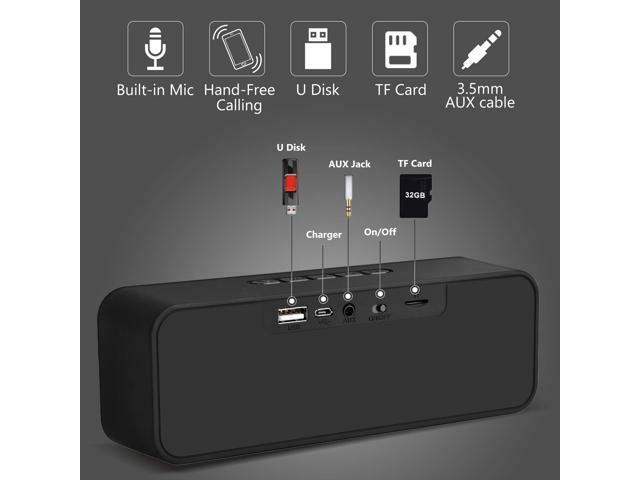 Q: How do I charge a Bluetooth speaker? A:Please plug the USB interface into the computer or charging head, charging red light will turn on, 2-3 hours or so can be fully charged. The red light will off till charging is complete. Q: Can be used without Bluetooth? 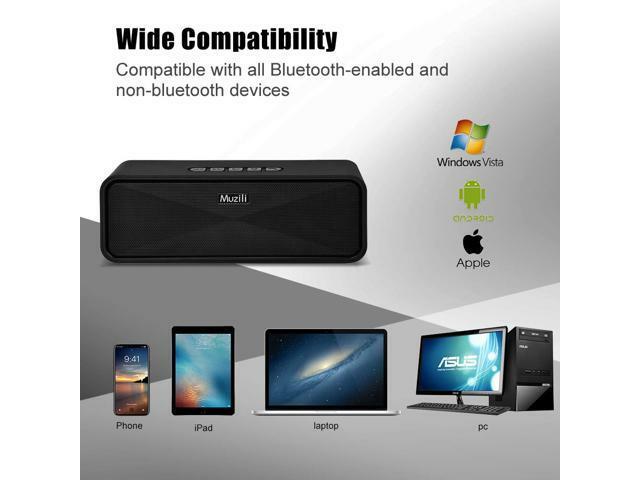 intertainment.You will hear the tone "Bluetooth Mode" after opening it ! 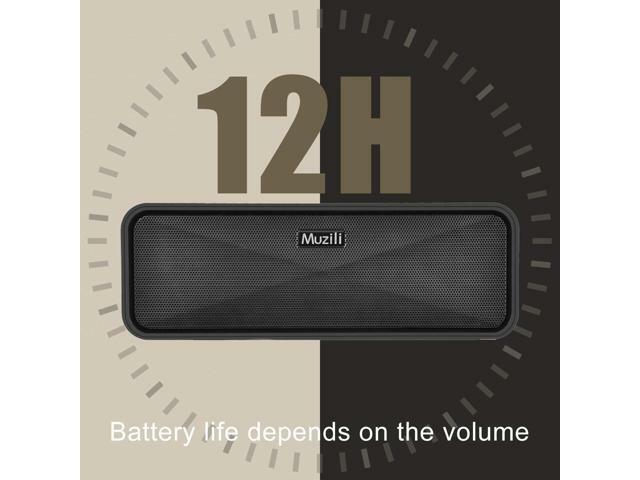 Headphones Included 1 xMuzili Bluetooth speaker, 1 xUSB charging cable,an user guide 1 x3.5mm AUX cable, 1 x friendly customer service one year free replacement& lifetime warranty. Battery Life 1 Lithium Polymer batteries required. 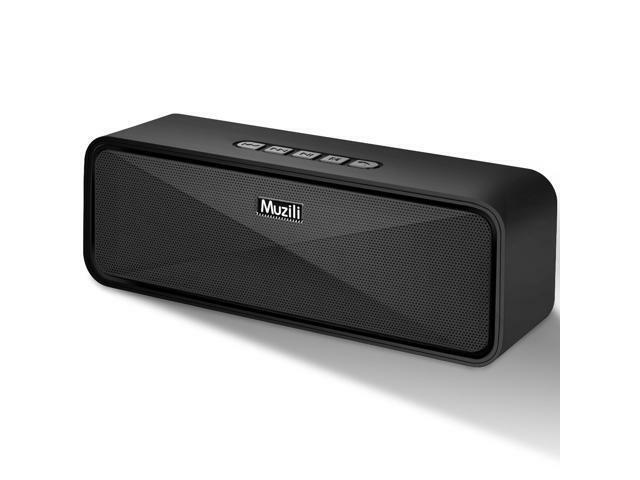 This item is covered by MUZILI Return Policy.